I don't know how long I stood there, pacing and smoking in the balcony. The rings of smoke merging with the mist in the air to form grey clouds over my head. I couldn't think clearly. I focused on the neighborhood. Few lights propped up in the dark, suggesting a wife was already up to take care of the daily chores or perhaps an enthusiastic child was strapping his pads to rush to a cricket practice. These individuals stories, their lives laid out with such verisimilitude, but it's all a big fat lie! One day, like mine, their worlds will come crashing down quavering their faith and they will realize how God plays us all like puppets. I still remember that fateful day in my life, how it had turned from being one of the happiest to one of the bitterest days ever! I had rushed home earlier than usual, elated to share the big news of my very first job. Working part time all through my graduation in a call center, the company had offered to place me as a team head in Pune. Though I was torn at the thought of leaving my parents alone, I knew I couldn't refuse such an opportunity. I had skipped upstairs to our one bed room apartment clueless of what was about to hit me! The agitated voice of my Father had stopped me in tracks. He was a man of few and straight and very polite words, my father. To hear him like that, loud and gruff and shaky was enough to caution me that something was terribly wrong. "Why now? Why tell him now?" he had argued. "Anuj, every time you have found a reason not to tell him. He his neither young nor naive now. It hurts me too darling, but it's time! ", surprisingly it was my mother who was the calm one. Her voice seemed to control whatever the situation was. And then the bomb dropped. "After all these years...how can I...what should I...how can I tell him I'm not his real father!" I still hear his words sometimes at night, in hushed whispers, the pain in his voice clear now which was then overshadowed by my anger. I hadn't given them the chance to explain and had stormed out, very much like my real father had done sixteen years ago. How could I even try to accept this truth, that the man I've loved, known, respected as my father is not actually him. And now he is gone, I broke his heart and it broke him completely. I didn't even get a chance to say that no matter what he will always remain my Pa. I didn't even get the chance to give him a hug. His hugs were special, that made one feel that you are good as long as he is beside you. And now he is gone. The rustling sound of a paper brought me out of my hagridden state. I nodded to Mrs. Rao in the balcony opposite ours who was settling down with her morning tea and newspaper. Her knowing smile would soon be followed by a question for which I didn't have the patience. I quickly moved inside and put two cups of water to boil. Ma liked her tea sweet. I put in three heaped spoons of sugar and saw them dissolve in the gurgling water. I wished all this negativity in my heart could dissolve like that. But to reach forward I know I have to look back for the answers. And that was going to be painful, both for Ma and me. Oh! This one is so poignant!! Made for a very captivating read... waiting for the next part now! Thanks Shilpa...getting to the next part soon! Glad I could touch a chord there Tex.. It kept me glued all along. Eagerly waiting for the next part. Eagerly waiting for the next part!! That was beautifully written!! Loved that story.. waiting for the next part with crossed fingers. Come on.. give it a happy ending. Thanks :) glad you enjoyed it...do stay tuned! Thanks dear for reading n commenting on all! 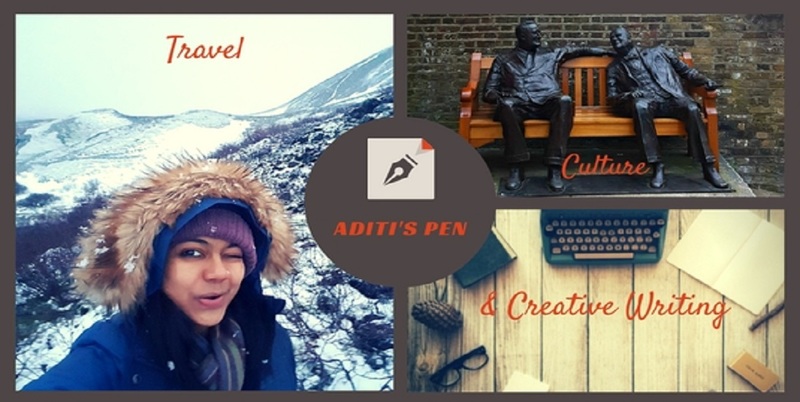 Aditi you have written it flawlessly... Beautiful stuff. Now let us read more of his journey..